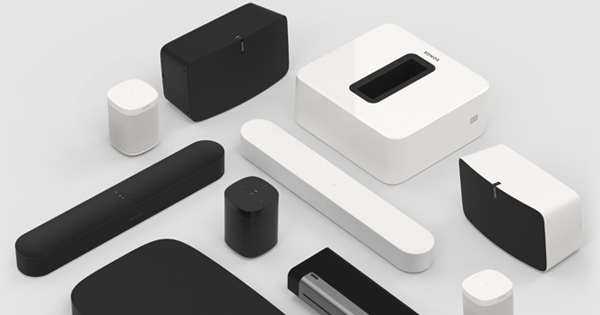 Sonos One's compact and versatile design make it great for rooms where you’re shorter on space. 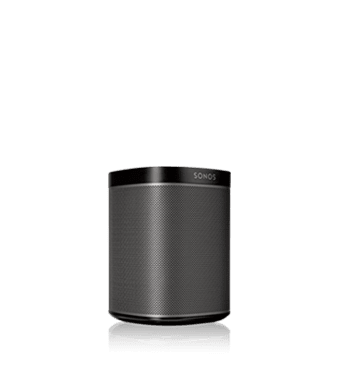 Sonos One is part of the Sonos sound system, so you can easily add more speakers to fill every room of your home with sound. Tap to turn up the volume. Swipe to skip a track. 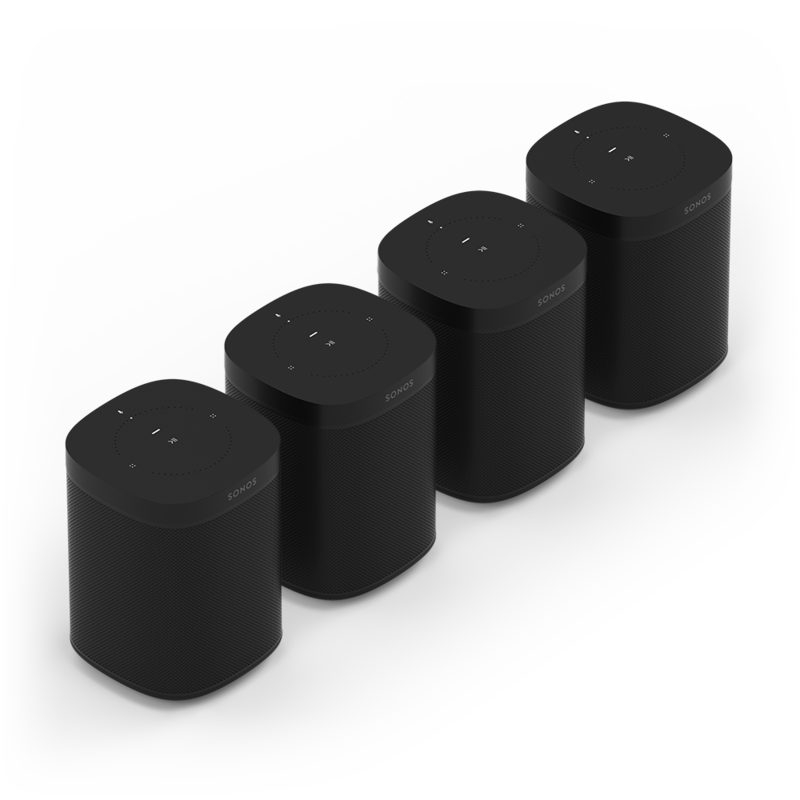 Sonos One’s touch controls are always a tap away. Sonos plays all the most popular streaming services, on-demand Internet radio, your favourite podcasts and audiobooks, your go-to collection of downloads—whatever you love to listen to. 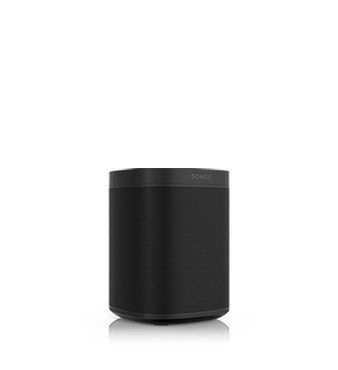 Control Sonos One with your voice, the Sonos app, AirPlay, or your favourite music service's app. 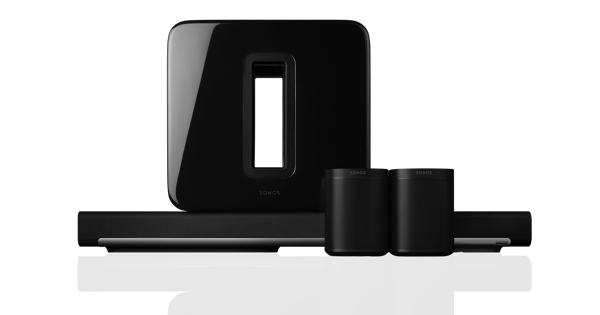 Use Sonos One on its own, pair two together for instant stereo sound, add a Sub for deep bass, or pair with your Beam, Playbar, or Playbase for epic home cinema surround sound. 1. Download the Amazon Alexa app and sign in or create a free account. 2. Download the Sonos app. 3. Connect your Sonos One to power. 4. 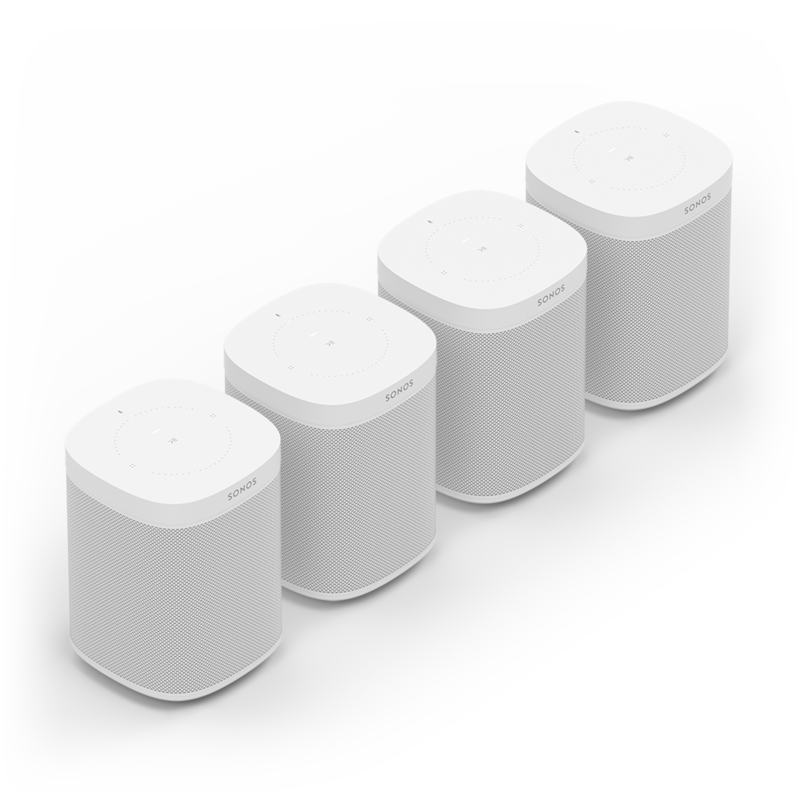 Follow setup instructions in the Sonos app. 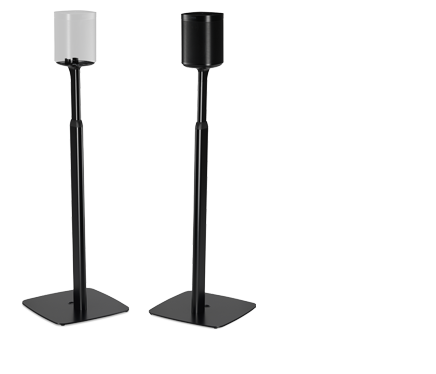 Far-field microphone array, used for smart voice capture and noise cancellation. White with white matte grille or black with black matte grille. Capacitive touch control for volume up/down, previous/next track, play/pause, microphone mute. LED indicates status, mute status and voice feedback. Two built-in microphones to enable future enhancements of Trueplay tuning. 4 each of Sonos One, power cord, flat Ethernet cable, Sonos QuickStart Guide, and Legal/Warranty information.